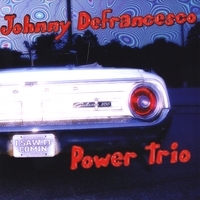 The Johnny DeFrancesco Power Trio is blues and rock at it's best. trio's instantly recognizable group personality. that may be inappropriate for children. This is Johnny DeFrancesco's first CD on Vectordisc. are available at CD Baby.